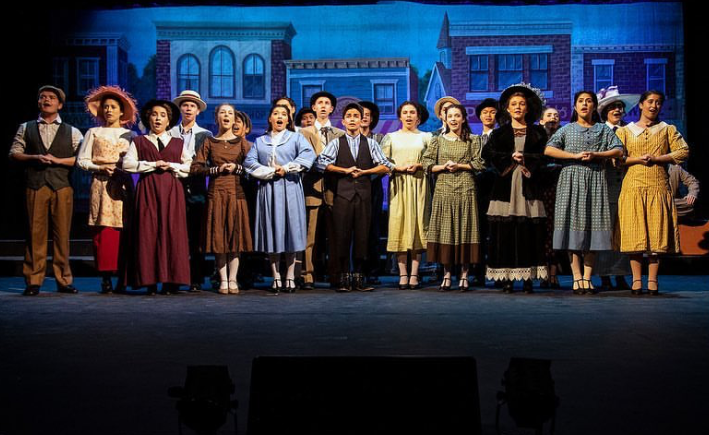 This past weekend, Coronado School of the Arts’ (CoSA) Musical Theatre Conservatory opened their most recent production of Tony-Award-winning show The Music Man. Originally a book co-authored by Meredith Willson and Franklin Lacey, Willson was then inspired to compose a musical based on the plot of his book. This musical reached Broadway in 1957 and became a roaring success. 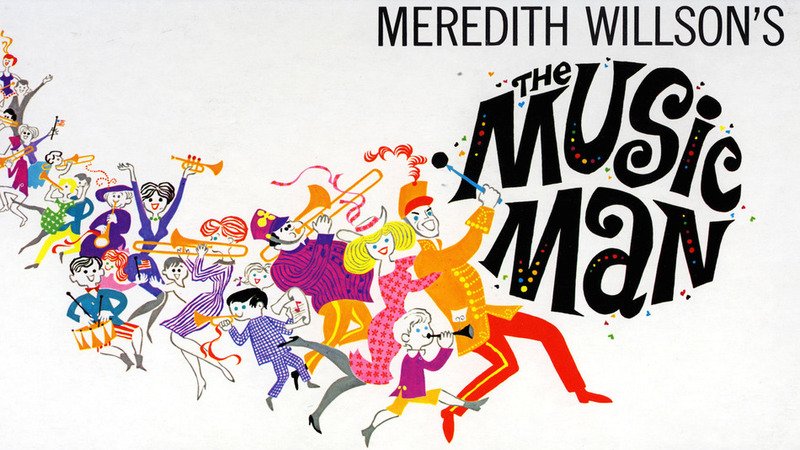 The story takes place in River City, Iowa where a con man by the name of Harold Hill decides to take his “business.” In the show, Hill poses as a band instructor, hence the title “The Music Man,” and falsely promises to teach students their instruments, planning to later skip town with the townpeople’s money. Mayor Shinn of River City suspects Hill from the beginning, as Hill interrupts the town meeting on Independence Day to announce his arrival and advertise the band that he will form. In addition to deceiving the entire town, he is intrigued by the local music teacher and librarian, Marian Paroo. Although persistent, he does not fool her as easily and struggles to gain her attention at first. This fall, CoSA teacher and professional Barbara Wolff, Ph.D. directed a cast of talented young artists. Senior Will Boone, portraying “Professor” Harold Hill, gives a witty performance, articulating charm in very unique ways. 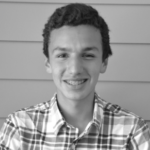 This is Will’s second year in CoSA; he played Jasper in The Mystery of Edwin Drood and Stone in City of Angels. He has had much success in leading roles and continued this success in his role as the “con man.” Each one of his musical numbers was brightly performed, and his choreographical technique gave his character even more personality. 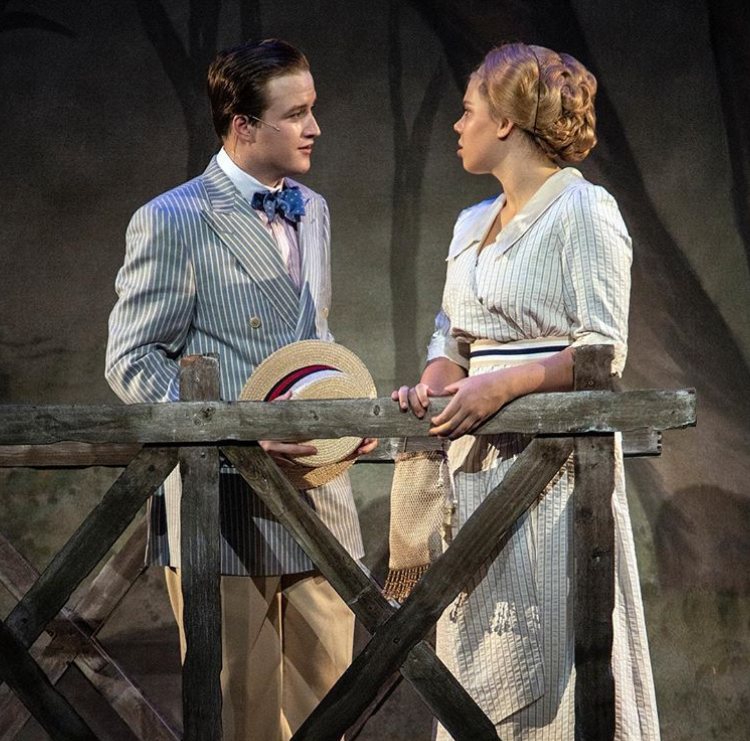 The leading female role of Marian Paroo, the town librarian and music teacher, was played by Olivia Troyer. With Olivia’s background in classical singing, her operatic voice lent itself well to her stern yet soft character. She demonstrated much of her vocal skill in some of her earlier numbers and perfectly depicted the persona of a Mid-Western dame from the early 1910s. Other cast members playing the roles of townspeople also captured the essence of the era and the setting exquisitely. In a small conservative town where “trouble” is feared, the paranoia was especially evident in the portrayal of Mayor Shinn by Morgan Mitchell. Morgan is a junior at Coronado High School and was cast as Durdles in The Mystery of Edwin Drood last year. His performance gave the show even more personality with his unique humor and charisma. The role of Eulalie Mackechnie Shinn, the mayor’s wife, was played by Drew Ward, who showed versatility in both acting and dancing throughout the show. One notable performance was Carly Rosenbloom’s portrayal of Mrs. Paroo. The Paroos are of Irish origin, and Carly held an impressive and convincing Irish accent throughout the entire performance. Her dynamic relationship with her daughter and their clashes are a driving force within the plot and lend themselves well for both drama and humor. Zaneeta Shinn, the eldest daughter of the mayor, was portrayed by Zoe Hosley, a third-year CoSA student, whose flamboyant personality charmed the audience. Although this production was directed by CoSA, Hill’s “band” was comprised of a younger ensemble of middle school students, who showed promise in theatre. As always, the dancers livened the show in their antique costumes, well-prepared by CoSA’s technical theatre crew. The classic barbershop quartet helped define the setting and could not have sung in better unison. Overall, sensational and enjoyable for all audiences. Congratulations to CoSA for another successful production!